This whole thing sounded hoakey to me. How did we get the video? Some sailor with a youtube account? 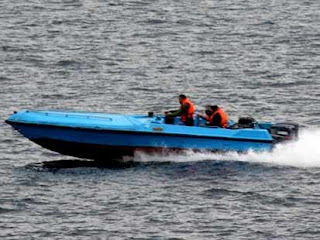 We're saying that we cannot make a direct connection to the boats there," said the spokesperson. "It could have come from the shore, from another ship passing by. However, it happened in the middle of all the very unusual activity, so as we assess the information and situation, we still put it in the total aggregate of what happened Sunday morning. I guess we're not saying that it absolutely came from the boats, but we're not saying it absolutely didn't. Yes, and all our base must belong to you now. Did the Iranians fart in our general direction too? What did Atrios call it Government by Children?